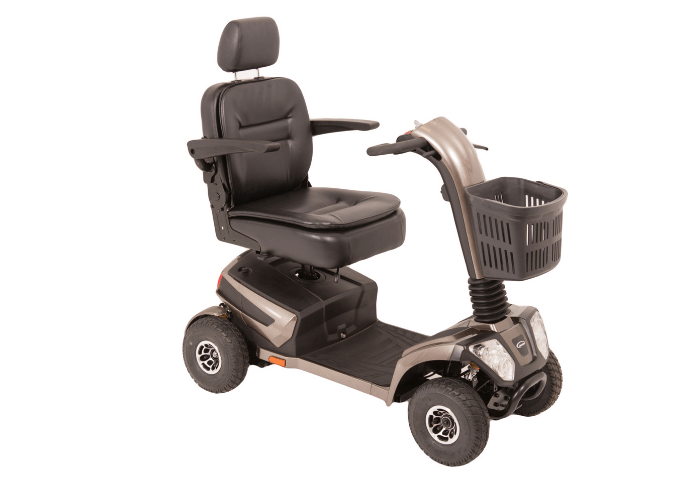 The new 8mph Liberator scooter provides the ultimate in manoeuvrability, luxury and comfort. 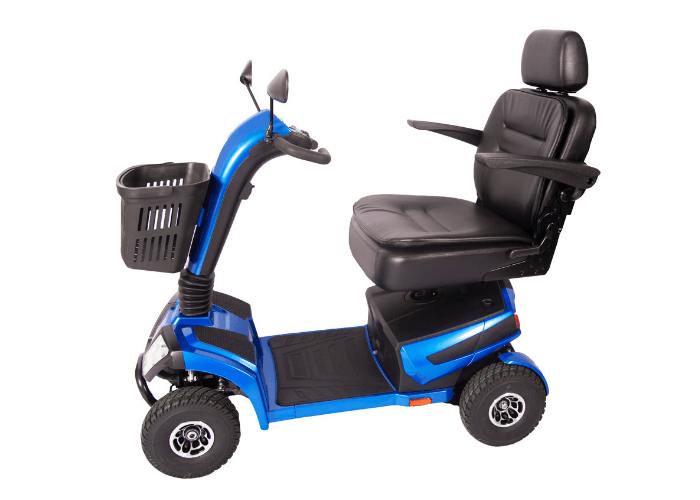 With its sleek stylish design the Liberator delivers high-performance operation at speed and the large powerful 50AH batteries assures you of a trouble free journey. 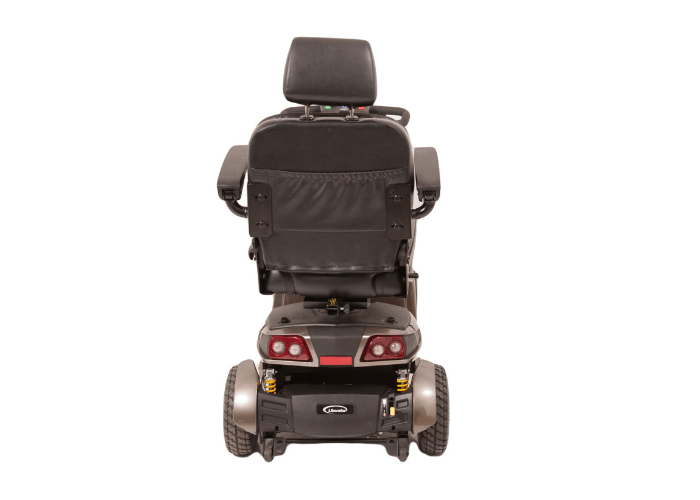 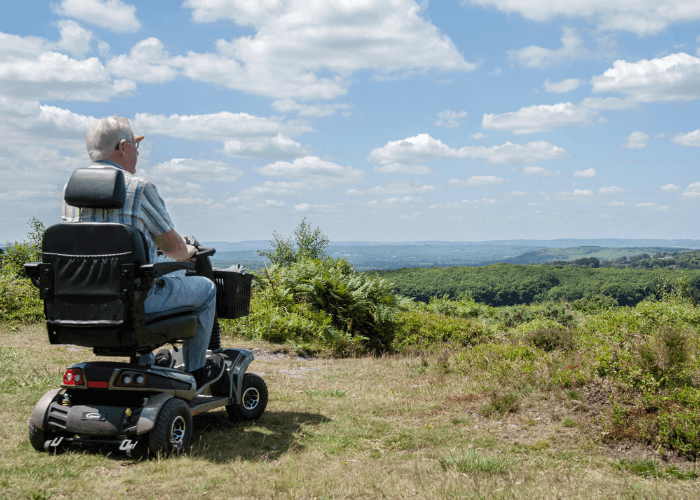 The advanced engineered front and rear suspension complete with the fully adjustable luxury Captain seat delivers a splendidly comfortable and delightful ride whether you’re traveling to the shops or off-road at the local park! 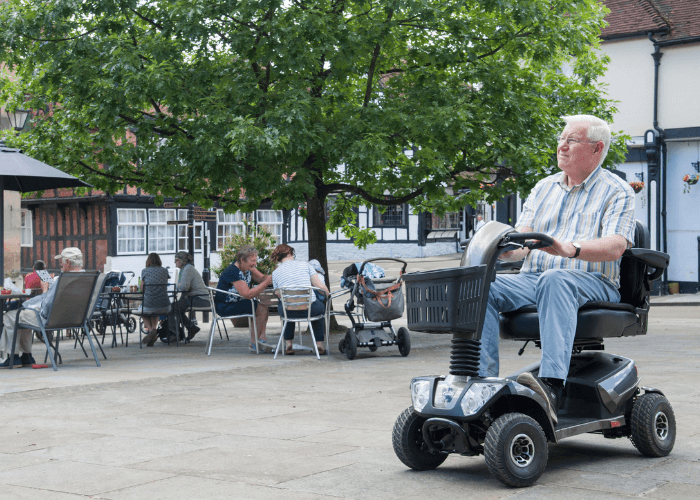 With its compact and highly manoeuvrable design the Liberator allows you to travel in confined areas and spaces such as shopping precincts and malls. 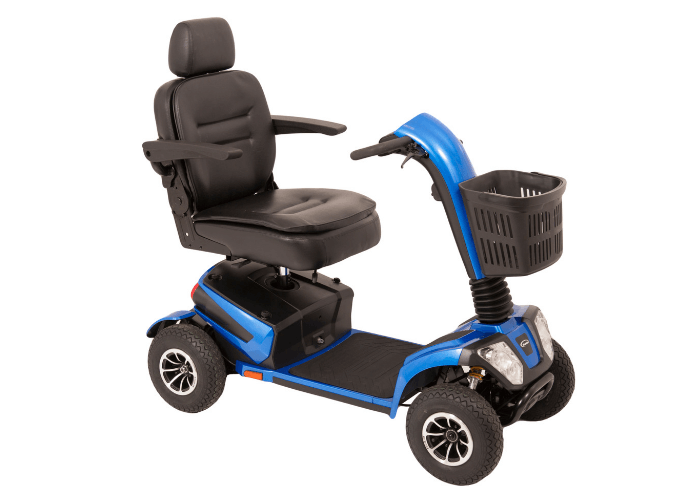 This also makes the Liberator easy to store and transport. 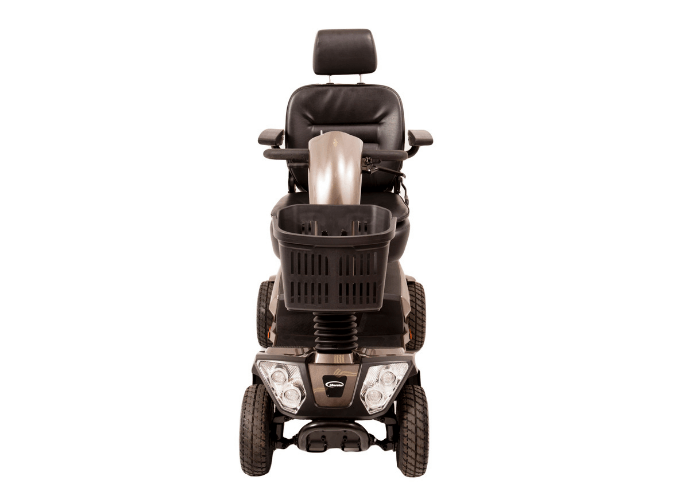 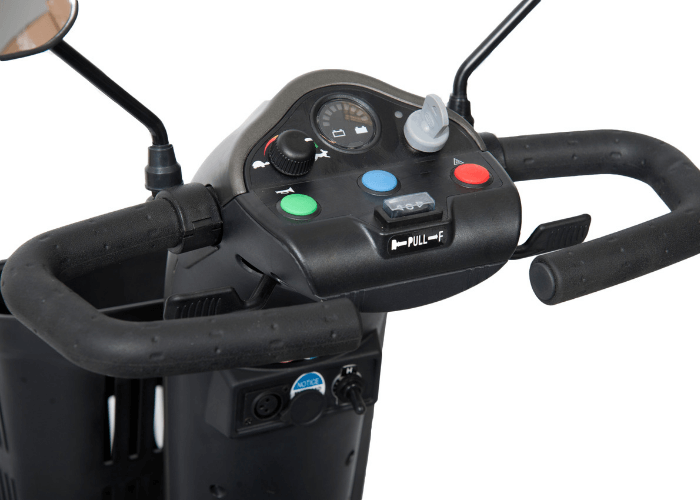 Many other benefits include the quick and weightless gas-assisted tiller adjustment, the easy to use Delta handlebar with high visibility rear view mirrors and the powerful front and rear LED lights all of which allow you to travel in safety and comfort day or night. 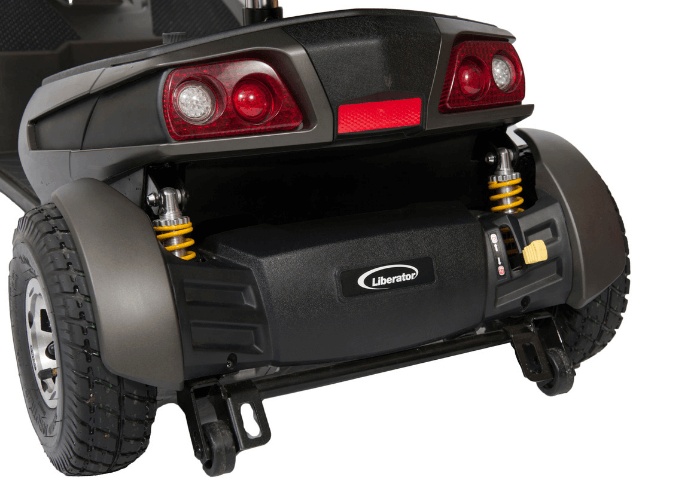 Enjoy you Liberator – Enjoy for Freedom!